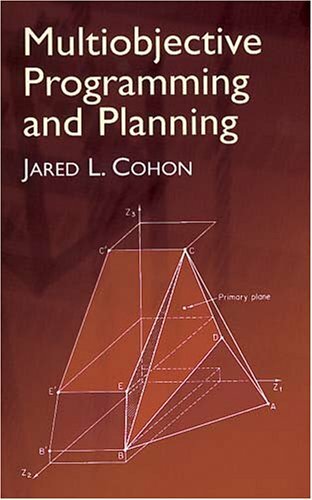 This text takes a broad view of multiobjective programming, emphasizing the methods most useful for continuous problems. It reviews multiobjective programming methods in the context of public decision-making problems, developing each problem within a context that addresses practical aspects of planning issues. Topics include a review of linear programming, the formulation of the general multiobjective programming problem, classification of multiobjective programming methods, techniques for generating noninferior solutions, multiple-decision-making methods, multiobjective analysis of water resource problems, and multiobjective analysis of facility location problems. 1978 ed.